If you are in the market to purchase a new diamond in Los Angeles, you are about to embark on an exciting journey. There are so many stores to browse; so many different cuts; and so many good deals to be made. Your first step is to choose the right place and there is no place like the downtown Los Angeles jewelry district. For the best selection begin your journey at the Los Angeles Jewelry Mart. There are many factors to consider when buying your new diamond. This is a personal decision and something of this importance cannot be taken lightly. Your very first step is to find a reputable jeweler in whom you have total confidence. This expert will help you every step of the way. Your downtown Los Angeles jeweler will assist you in selecting the perfect stone, advise you of the diamond’s value and insure that you pay a fair price for your selection. No one can become an expert in diamonds in one day. Your professional jeweler has spent years learning his or her trade and keeping abreast on the latest cuts, sources and news from around the world. Your guide will know where today’s best gems originate and which mines to avoid. However, before you embark on your journey to discover the best diamond for your circumstances, you can arm yourself with a little knowledge that will aid in your decision. Learn the terminology and what it means. All diamonds are rated based on the four C’s. These are cut, clarity, color and carats. When you view a prospective stone, your downtown Los Angeles jeweler will discuss all of the aspects with you. 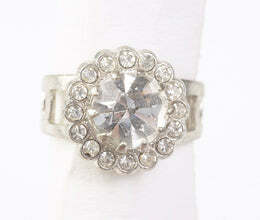 For instance, you can have a three carat diamond but the cut is poor and the color is dull. If you compare this stone with a one carat gem that has been precisely cut, is almost flawless in its clarity and color, the one carat will be more valuable than the three carat. Bigger does not always mean better. Your downtown Los Angeles jeweler will ask you about the purpose of your purchase. Are you investing in a diamond for an engagement ring, a ring for a special occasion, a pendant or other piece of jewelry? Some cuts work better for different settings. However you are going to use the diamond, you want to pick the right cut that will allow the most light to be reflected when worn. The fire and brilliance must speak to everyone who sees it. If the diamond has the right flash, the wearer will not have to point out that she has a new piece of jewelry. The fire will have called attention to itself with no word spoken. The cut is actually the shape of the diamond. Some cuts require less waste of the original stone and can be less expensive than cuts which utilize less of the original stone for the finished product. Your downtown Los Angeles jeweler will display the different cuts and shapes that suit your purpose so you can easily see the differences. Some of the most popular cuts today are the round brilliant, oval, pear, marquise and emerald. With the right jeweler by your side, purchasing a diamond does not have to be an intimidating experience. 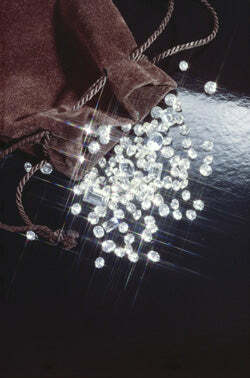 You know you will purchase the perfect diamond for your intentions and pay a more than fair price.